I fully believe that fan interaction is the number-one way to get butts into seats and watching on TV - if that option exists - for leagues needing a push. When fans are involved, there's usually buy-in to whatever a league is doing regarding its teams, players, and promotions for those teams and players. The CWHL was humming along with their Goalie of the Week fan vote where fans could vote on who they believed was the outstanding netkeeper from the previous week's games. One goalie per team would be nominated from the teams that played, and fans could vote on who they believed was the most outstanding goaltender from that group for that week. Sounds like nothing could really go wrong with that setup, right? Well, something DID go wrong last week as Marie-Soleil Deschenes of les Canadiennes de Montreal was named as the fan's choice for Goaltender of the Week. This isn't to say that Miss Deschenes didn't have a good game or was unworthy of the award in any way. She was nominated and certainly played extremely well in her appearance last week. The only problem was that the votes on the CWHL's site reflected an entirely different picture. If you look closely at the image posted above, you can see that Jetta Rackleff of the Worcester Blades clearly has a larger vote total than Miss Deschenes does. If that's the case, why wasn't Jetta Rackleff named as the Goalie of the Week by the CWHL when they posted this tweet? I was curious about these results, but the CWHL had also added this tweet some two-and-a-half hours earlier indicating there was some sort of technical error. We get an internal report with every vote that had proved Marie-Soleil Deschenes as the winner. It wasn’t until we recognized the difference on the website that there was an issue which is why it was taken down and we sent out a tweet. It appears there was a glitch in our system and we have since rectified by making some changes/updates to the poll. We always take the results from our internal report. Hopefully that answers your question. Thank you for continuing to support us! When you say that you get an internal report "with every vote" that proved Marie-Soleil Deschenes as the winner, can you elaborate on how the results on the site - which are still showing today - differ from the results of the report? Simply stating that "our numbers are different" doesn't really lend faith to the poll numbers shown for each fan vote if there isn't some sort of reasonable explanation on how the numbers differ. I know this seems like I'm digging, but I'd like to believe that voting in the poll actually counts for something. With more than 2500 votes cast, what exactly is on said report if it is reporting on every vote? Secondly, the tweet you sent out spoke of a "minor technical error" and gave zero explanation on how the results were incorrect. Could you elaborate on this error that you called "a glitch" in your email? What has been implemented to prevent this from happening again? Since that email left my outbox, there has been radio silence from Jessica and the league on this despite the fact that the results can still be found on their website AND still show Jetta Rackleff in the lead in terms of the vote. Without answering some rather simple, straight-forward questions about this vote, how the results are determined, what is being tracked "with every vote," and what changes have been implemented to prevent this again, does my vote actually count for anything? The fact that they won't even acknowledge they made a mistake is baffling, and I'd totally be fine if they just said, "we forgot to end the poll at a specific time, allowing additional votes to be added to totals." Hey, human error happens, I wouldn't even have bothered with the emails, and life goes on. It's not like the CWHL's Goalie of the Week vote is a Florida Senate race or anything. Recounts wouldn't even be needed. It's just an "oops" in some code on the website, and we own up to making a mistake. It's not hard to type that out, and the CWHL doesn't even have to name names of anyone who may be involved. Just put out a statement that reads, "We messed up, we fixed the problem by doing A, B, and C, and we'll strive to ensure it won't happen again." It's that easy. Instead, the CWHL throws up walls around the whole debacle and shuts down any inquiries. I've followed up with them twice now, and it's like I'm speaking into a void. Maybe I'm asking too many questions? Maybe I'm asking the wrong questions? Maybe I simply haven't kissed their feet and worshipped their holiness enough to be able to question their practices? Whatever the case may be, they're quickly losing me as a fan with their unwillingness to engage me as a fan and blogger. Henry Clay once said, "Courtesies of a small and trivial character are the ones which strike deepest in the grateful and appreciating heart." As small and trivial the discrepancy in the Goalie for the Week vote is, it wouldn't have taken Jessica much to explain where the discrepancy occurred for clarity in what happened. This simple act of courtesy likely would have also prevented this article from being written and would have set things right going forward. One of the key elements of a democratic and free vote is the transparency of the process. This is all I want to see after there was a clear difference between the player who earned the highest number of votes and the player named as Goalie of the Week. William H. McRaven famously stated, "If you can't do the little things right, you will never do the big things right." Truer words may never have been spoken. The Hockey Show, Canada's only campus-produced radio show that strictly talks hockey, is out on the road tonight! As one of the prizes that we had offered in our Pledge-O-Rama campaign, we made a commitment to visit an arena of a donor's choice to promote his or her team like we're die-hard fans. We're out doing that tonight as Beans and I visit a high school hockey game to be the homers for one of the two teams. This is our first adventure into the high school hockey world, so who knows how badly this show could go off the rails with how little information there is about high school hockey in this province. Nonetheless, Beans and I will do out best to sound intelligent as we visit Keith Bodley Arena to cheer on the Sanford Sabres as they battle the Sturgeon Heights Huskies thanks to Richard's generous donation during Pledge-O-Rama! 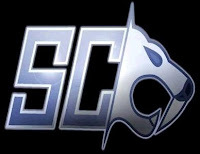 Sanford Collegiate is a high school located in Sanford, Manitoba that provides education for kids in Grades 9 to 12. After winning Division 2 in the Winnipeg High School Hockey League last season, the Sabres were promoted to Division 1 where they're finding out that the big schools don't play very nice with the new kids. As it stands, Sanford currently sits at 2-8 and is near the bottom of the Division 1 standings, but the kids are finding ways to stay in games and pick up a few wins! Beans and I will sit down with a few players and/or coaches from the squad tonight after they get off the ice as we talk to them about their season and an upcoming tournament in Brandon. We may also have a special guest stopping by for a quick chat, so make sure you tune in as we tour Keith Bodley Arena to tell you who suited up there as a kid as they chased their dreams before some of Sanford's best players sit down and talk of their own dreams! Tonight, Teebz and Beans visit Keith Bodley Arena in support of the Sanford Collegiate Sabres as we talk about high school hockey, life in Sanford, and much more only on The Hockey Show found exclusively on 101.5 UMFM, on the UMFM app, on the UMFM.com web stream! This is the sign that welcomes one to Oakland University in Rochester Hills, Michigan. As of fall of 2016, there were 20,012 students enrolled at Oakland University, putting it comfortably in as the 12th largest college or university in Michigan in terms of population. Yes, it's not Michigan or Michigan State, but Oakland University has some fairly well-known alumni such as Red Wings anthem singer Karen Newman, four-time table tennis Olympian and 1988 Olympic bronze medalist Jasna Rather, and India's 11th President Avul Pakir Jainulabdeen Abdul Kalam who served from 2002 until 2007. Not a bad list of dignitaries there! If you're wondering why I'm talking about an NCAA school without a hockey program, it's because they went off and did something rather astounding with respect to how they handle one of America's worst problems right now. I don't even have the words to begin to describe my level of disbelief about this, so I'll let the NPR headline describe it for you. Yes, that's real. Yes, that's really happening at Oakland University. No, I'm not sure how anyone came up with the idea that this was a smart, safe, and effective way of protecting students from a shooter on campus, but someone in their infinite wisdom must have been reading BroBible and thought, "If hockey pucks stop bullets, we should have kids use them as shields!" As facetious as I'm being, here is the NPR article for you to read. In it, it seems the idea for this hockey puck strategy took root when a participant asked Oakland University Police Chief Mark Gordon a rather simple question. A participant at the training asked Oakland University Police Chief Mark Gordon what items people could use to defend themselves on the campus, which has a no-weapons policy, the Detroit Free Press reports. A hockey puck was a "spur-of-the-moment idea that seemed to have some merit to it, and it kind of caught on," Gordon said. The faculty union followed up on the idea, purchasing 2,500 hockey pucks: 800 for union members and 1,700 for students, the Free Press reports. That sound you just heard was my jaw hitting the desk at which I'm seated. For a police chief to suggest something like a hockey puck being used for defence in any situation involving bullets is about as irresponsible as one can get as a police officer of any merit. And while the university "conducts active-shooter training sessions multiple times a year" where students are taught "the 'run, hide, fight' method, which emphasizes fleeing an active-shooter situation above all else, hiding if fleeing isn't an option — and fighting if hiding isn't," the fact that you're asking a student to dig around in one's backpack for a puck that one can use as a projectile while bullets, panic, and fear are taking hold of everyone is about as ignorant to the bigger problem as one can get. Perhaps the university should really look at someone who is potentially making this entire situation worse. "If you threw [a hockey puck] at a gunman, it would probably cause some injury. It would be a distraction, if nothing else," Gordon told WXYZ, a local ABC station. The police chief also suggested that a group of students could "rush" an active shooter with their pucks, creating a distraction that would allow someone else to get their hands on the shooter's weapon. Oakland University, you really need to take a long, hard look at the man you have sitting in the Chief of Police chair at your school. This man is endangering students and faculty with his stupidity. Thankfully, the students attending Oakland University seem to be a lot smarter than the man running the university's police force. "If I was to give you a puck, and I had a gun, would I be able to take you out?" senior Jacob Gora told WXYZ with a laugh. "Easily, yeah. I mean, a puck is not going to distract me or stop me from shooting someone." "I find it, at first, absurd," echoed student Adam Kalajian. "If there's an armed person coming in, why would you chuck a puck at them?" Perhaps these two young men should be advising Police Chief Gordon on better ways to protect students because they seem to have the intelligence to know that a hockey puck will do little, if anything, in a crisis like having a shooter on campus. It's unfathomable that the faculty union would even consider Chief Gordon's remarks about the hockey pucks being sound and reasonable, let alone going out and purchasing 2500 pucks for distribution. It's unfathomable that all of this is happening and that people at an institution of higher learning think this is a reasonable way to protect one's self at all. Oakland University was ranked as the third-safest campus in the nation in 2017. The school is already doing good things in protecting its students from harm while attending classes and events on the school grounds. They don't need hockey pucks to continue that strong legacy of safety. As the NPR article states, "Oakland University's student newspaper, The Oakland Post, wrote in March that the school has locks 'on the outside, not the inside' of classrooms." Having locks that can be controlled from the inside of the rooms would be infinitely better than handing out hockey pucks to 10% of the faculty and students. This is something towards which the faculty union - who donated $5000 towards this cause - should have put the $2350 they spent on pucks. I'm still in shock over this development at Oakland University. I'm not here to lecture anyone on the US's love of guns and the gun culture they've developed. As a society, they need to figure that one out on their own if they hope to find serious resolution to the number of people killed by guns each year. The numbers don't lie, and the worst part is that the number of young people killed each year by guns is staggering. As a civilized nation who prides itself on being a leader on many front, this is one of those issues that just keeps them from rising higher. In saying that, I do know that hockey pucks will be ineffective in a shooting. It's a large reason why the military doesn't carry pucks with them into war zones. It's why you never see police officers pulling pucks out of their pockets during armed confrontations. This hockey puck strategy will be largely ineffective on a number of fronts if there ever was to be a shooting at Oakland University, and my hope is that students and faculty just forget the "fight" part in the "run, hide, fight" training sessions. On the other hand, let's just hope that the nation's third-safest university remains that way. There's something to be said for Daniel Carcillo. The man has been on an incredible tear lately when it comes to concussion and mental health awareness, and he's already stated that the NHL's deal in a class-action lawsuit is one in which he won't be partaking because it simply doesn't do enough for the players affected. Dan Carcillo went all-in on the culture of hockey this weekend on Twitter as he described the hazings that he and teammates went through while as a member of the OHL's Sarnia Sting. Today, there was an article published by The Canadian Press that put it all together as Daniel Carcillo bared his soul and talked about the rituals and humiliation he and several teammates suffered at the hands of older teammates with the Sting. I'll link the article, written by John Chidley-Hill, here as it appeared in the Times-Colonist. It's a tough read simply due to the horrific things that were done to Daniel and his teammates, but it presents a much larger problem when one considers that Daniel barely scratched the surface of the problem here. If this happened with one OHL team in 2002-03 when Carcillo was a rookie, how many other CHL teams saw incidents like this and did nothing to stop them? How many other coaches and players saw these hazings as "rites of passage" rather than psychologically-, emotionally-, and physically-traumatic incidents? With Daniel's article published, more players began stepping forward. 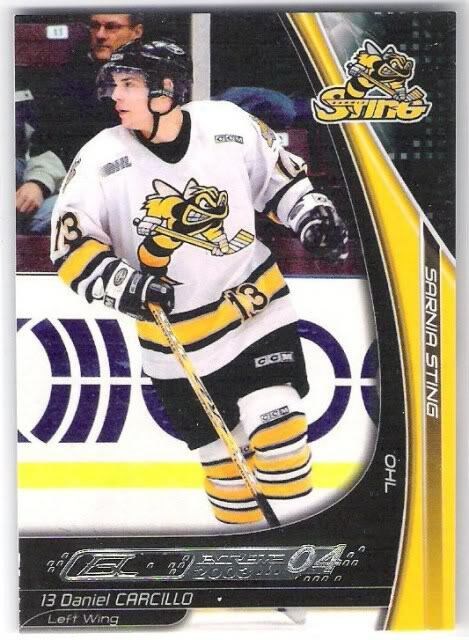 I played 2 seasons with Dan in Sarnia. This was well written. However, I feel that just touches the physical abuse we suffered and doesn’t even begin to scratch the surface of the inner-emotional abuse we as players went through. Ladies and gentlemen, there is a problem with major junior hockey in this country to have three NHL players step up and speak out against the very institution that helped them get to the NHL. I can't offer answers or solutions on this one. There needs to be a wholesale examination from top to bottom about the practices that go on behind the scenes within CHL clubs. Two of the teams named - Belleville (now Hamilton) and Sarnia - clearly had problems in the past, and there may still be hazing problems today. I can't speak on that as I'm not privy to any of what happens off the ice. What I do know is that, from speaking with players, these problems of hazing, harassment, and bullying aren't just limited to CHL teams. We heard Kelsey Neumann speak of problems she had at NCAA's SUNY-Plattsburgh. We're currently awaiting the civil trial of four players from the University of Lethbridge against the school, its athletic director, and the head coach of the women's hockey team. Sometimes, the bullying and humiliation comes from coaches as opposed to other players, but it's still the same problem when broken down to its core. Look, don't start telling me that these are "isolated incidents" because they happen rarely. Once is too many times for this to happen. These are impressionable young men and women who put their trust in their coaches and teammates to help them and protect them when they're new to the club. They're told they can confide in their coaches and team because "we're a family". That rhetoric means nothing once that trust has been breached, so save me the time and oxygen because to these men and women this is not how family treats one another. It's time that we as fans, coaches, management, and players admit that hockey has an institutional problem that will require us all to lift it out of the darkness into which some push it. How we do that is exactly how Daniel Carcillo did it: by summoning the courage, the integrity, and the bravery to talk to about it and calling it out for the trauma that it is. It's not easy to open up about these atrocities when one considers the trauma these players have been through and how long and deep they've kept these emotions bottled up. For some, it takes years of therapy and sessions with trained professionals to unlock the ability to process these emotions and traumatic events. It's important to find peace when it comes to these issues, though, and I hope that Daniel Carcillo's willingness to speak openly about his own traumatic experiences will encourage others to not only seek help, but hopefully will encourage them to stand up and call out this reprehensible behaviour. If heroes are made of courage, integrity, and bravery, then Daniel Carcillo, Charles Amodeo, Shawn Matthias, Kyle Wellwood, Kelsey Neumann, Chelsea Kasprick, Alannah Jensen, Brittany Swayer, and Olivia Alexander are all heroes in my books. They took a stand and called out the atrocities happening behind closed doors when it comes to how they were treated. They risked their reputations and their livelihoods by saying, "Enough is enough" when it comes to the bullying, harassment, and hazing they were forced to endure, but they should be celebrated, not vilified, for pulling back the curtains on these unspeakable acts and exposing them for all to see. Their actions can force change at many levels, and we seem to be on that precipice of change with these recent incidents exposed. Heroes take many forms. The four men and five women above are heroes in my books. Capes and cowls aren't needed. Most athletes are taught early on that you never want to give the other team any sort of bulletin board fodder when it comes to what is asked of you in an interview. With the Pittsburgh Penguins getting ready to face the Winnipeg Jets following Patrik Laine's 11-goal week which included a five-goal game against St. Louis, NHL.com writer Wes Crosby - no relation to the Penguins' Sidney Crosby - decided to go and get some reactions from the Penguins' star and other players as they prepared for the Finnish sniper. 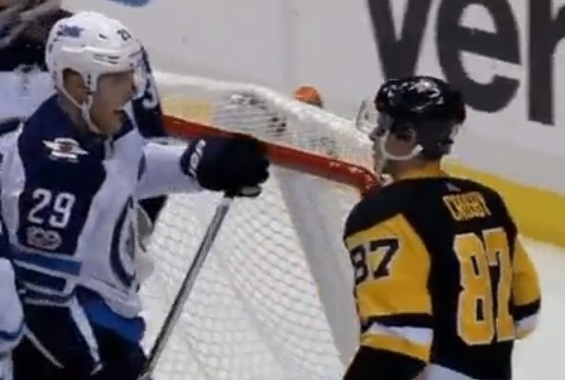 What does Sidney Crosby think of Laine's five-goal game? "It's pretty incredible," Sidney Crosby told NHL.com's Wes Crosby. "I think he had five shots on net, so that's even more incredible. He's a goal-scorer. He's shown that since he's got into the League. But pretty amazing what he was able to do." I'd say so. Since 1995-96, Patrik Laine's five-goal performance equalled the mark set by four other men. Detroit's Johan Franzen accomplished the feat on February 2, 2011 against Ottawa, Minnesota's Marian Gaborik did it against the New York Rangers on December 20, 2007, Detroit's Sergei Fedorov scored five against the Washington Capitals on December 26, 1996, and Pittsburgh's Mario Lemieux pulled off a five-goal game against the St. Louis Blues on March 26, 1996. That's some pretty elite company for Laine to join! Kris Letang knows what he's up against as Laine has scored just one goal in four career games against the Penguins. "We're going to play a guy that scored five goals," Letang said to Wes Crosby. "Obviously, we're going to pay big attention to him, but they still have a lot of weapons. They're a good hockey team. They're a contender every year. So we're just going to have to play a good, solid road game with a defensive conscience and that's it." For Crosby, this is a guy who outscored him as a teenager as the 20 year-old Laine set marks for goal-scoring that even "The Kid" couldn't touch. Since 1987-88, no NHL player has scored more goals as a teenager than Laine did with his 80, leaving Sidney Crosby's 75 goals, former Thrasher and current King Ilya Kovalchuk's 67 goals, and currently-in-limbo Rick Nash's 58 markers in his rearview mirror. Currently leading the NHL in goals with 19, it appears that there may be no way to stop Laine from setting new marks as he matures. "It just shows he can finish," Penguins netminder Casey DeSmith said to Wes Crosby. "I think three of those goals were off the post and one was a one-timer deal. The guy knows how to score and that's pretty impressive. The chances, today in this game that we're playing now, chances are hard to come by." Last season, Jets head coach Paul Maurice told TSN's Frank Seravelli, "I don't want to put a ceiling on the guy, so I don't want to tell you how important he is to our team just yet, but I think he's got a lot of room to get better." If that statement holds true, we could be talking about one of the best pure goal scorers of all-time, and we're just seeing him round into form. What makes Laine's totals thus far so impressive is that he doesn't take a lot of shots, yet his career shooting percentage is sitting at 18.5% while his shooting percentage this season is already 21.1%. If you're playing with percentages, what that's saying is that Laine scores a goal on every five shots. The player he's most compared to is Alexander Ovechki, but Ovechkin's career shooting percentage right now is 12.5% - one goal for every eight shots. If Laine got the total number of shot opportunities that Ovechkin gets, we could be talking about considerably more goals for the Finnish sniper already. "I think, like any young player, you just gain confidence every year," Crosby told Wes Crosby. "With his shot, he's well aware of the shot he has, and he uses it. He's got great hands. But yeah, his shot sticks out the most." For the Penguins, who currently sit four points back of a wild-card spot, this will be a test. They recently broke out of a 1-7-1 funk with a 2-0-2 record in their last four games including a 4-2 win over division-leading Columbus, but Winnipeg poses a different test for the Penguins. For the Jets, they need to play their game as the Penguins seemingly have rediscovered their game, so this contest on tomorrow should be entertaining. While there's no doubt that Crosby and Laine will have an impact for their teams in this game, the two teams need to remember there are other weapons up and down each other's lineup that can do just as much damage. But that five-goal performance is still "pretty amazing". There was a potentially monster match-up in Canada West this week as #3 Manitoba hosted #9 Saskatchewan this week as both teams were looking to make up ground on conference-leading Alberta. UBC and Regina tangled as well, and that two-game set could cause some shuffling of the standings depending on results. Lethbridge and Mount Royal had a series this weekend as they each look to solidify a shot at the playoffs, and Calgary was facing Alberta as they needed wins against the second-ranked team in the nation to try and catch the Cougars and Pronghorns. With the storylines written, let's get into this week's action on The Rundown! UBC at REGINA: Let's start in the Queen City as the Thunderbirds visited the Cougars. Before we get to the game, this writer wants to pass on condolences to former Cougar Kara McGeough whose father, former NHL referee Mick McGeough, passed away this week. My thoughts and best wishes are for her and her family as they go through this difficult time. In game action, the first period was a case of one team showing as UBC controlled play through the opening frame. They had shots, they had chances, and they dominated the possession game, but Jane Kish stood tall in denying all 13 attempts sent her way. Tory Micklash was less busy as she made four saves, and we'd go to the second period with the game tied at 0-0. The second period was where UBC decided to take control of this game. With Jaycee Magwood in the penalty box, UBC set up on the power-play as Logan Boyd found Emily Costales who moved from behind the net out front, and Costales made no mistake in redirecting Boyd's pass past Kish at 5:20 to make it 1-0 for the T-Birds! 51 seconds later, Brie Bellerive easily converted a Madison Patrick rebound past Kish to make it 2-0! And 59 seconds after that with UBC back on the power-play, Kenzie Robinson deflected a Rylind MacKinnon shot past Kish to put the Thunderbirds up 3-0! Outside of the three-goal siege that the T-Birds had, the period saw Regina get chances as well. None were successful, though, as UBC led through 40 minutes as they held a 22-12 edge in shots. Regina came out more determined in the third period, creating chances and getting shots from in front of the net, but Tory Micklash was having none of that. She turned away another ten shots directed at her as Regina outshot UBC 10-5 in the period, but the 3-0 score would hold thanks to her netminding as the Thunderbirds took victory in this game! Tory Micklash picked up her sixth victory and third shutout of the season in stopping all 22 Regina shots while Kish suffered the loss despite making 24 saves. UBC at REGINA: Saturday's game became even more important for Regina after they fell seven points behind UBC in the standings after Friday night's loss. UBC was again the more aggressive team in the opening frame in sending nine shots on Jane Kish, but it would be Regina who beat Tory Micklash with their five shots. Unfortunately, the shot that did get past Micklash off the stick of Waldenberger was turned away by the crossbar. These teams would enter the intermission still tied at 0-0. The second period was far more physical, and it would come back to haunt Regina past the midway point in the period as Jordan Kulbida was sent off for boarding at 12:16. On the ensuing power-play, Logan Boyd fed Mathea Fischer in the face-off circle, and her high one-timer was deflected down past Kish in front of the net by Kenzie Robinson at 13:36 to give the T-Birds the 1-0 lead! Despite each team having three power-plays and Regina leading 9-7 in shots in the second period, the Robinson goal would be the only one scored in the second period as the teams went to the third period with UBC leading 1-0. On a wild play midway through the third period, a scramble in front of Kish appeared to end in a UBC goal, but the referee behind the net emphatically waved off the goal, keeping this a 1-0 game. That was good news for the Cougars who made up the difference shortly afterwards. On a power-play, Emma Waldenberger wrapped the puck around the net where a number of players were poking at the puck after Tory Micklash made the save. After a few seconds of this, the referee finally signaled a goal as Waldenberger was credited with the marker, and the Cougars had tied the game at 1-1 at 12:18! The final seven minutes would be played with no additional goals, so we would head to overtime with the teams deadlocked at 1-1 through 60 minutes! Both teams had opportunities to end the game in the first overtime, but neither team would beat the opposition's goaltender. The second overtime would see UBC get all sorts of glorious chances as they hit a post and Kish made an amazing save on a two-on-oh one-timer, but it remained 1-1 as the T-Birds and Cougars went to the shootout! In the skills competition, there were no goals scored in the first two rounds. Emma Hall came out for the Thunderbirds in Round Three, and she did this. Holy dangles on that one, Batman! Hall put UBC up in the shootout with Jordan Kulbida needing to score to keep this game going. Kulbida broke in on Micklash and ripped a high shot that beat the goaltender, but could not beat the crossbar as the audible ping was heard throughout the rink! In the end, the T-Birds took this game by a 2-1 shootout score! Tory Micklash stopped 27 shots for her seventh victory while Jane Kish suffered her second loss of the weekend after making 30 saves. LETHBRIDGE at MOUNT ROYAL: With two points separating these two clubs as they battle for sixth-place, this weekend's series was a big one for both the Pronghorns and Cougars. The home side got out to an early lead when Kate Scidmore curled out of the corner and found room inside the far post on Alicia Anderson at 5:23 to make it 1-0 for the Cougars! The remainder of the period would see chances traded, but the Cougars took that one-goal lead into the second period after outshooting Lethbridge 10-6 in the opening frame. The second period saw Lethbridge lose one of their better players as Alli Borrow was whistled for a major penalty and a game misconduct for a bodycheck she threw on Morgan Ramsey at 11:34, but the Cougars could not make good on their extended power-play. The wide-open play was exciting for fans, but Zoe De Beauville stopped all 12 shots in this period while Anderson answered back by stopping at 15 shots she faced. In the third period, the Cougars would double their lead. Off a scramble in front of the net, Kate Scidmore's shot as she was being taken down was kicked out through the slot by Anderson where it found the stick of Mackenzie Butz who wired a wrist shot past Anderson into the Lethbridge net at 7:45 for her first U SPORTS goal in her career! Lethbridge would use a late power-play to cut the lead to one goal when Mikaela Reay's shot deflected off Ashley McCabe in front to get past De Beauville at 16:05 to make it a 2-1 game. Lethbridge was given another power-play with 1:25 to play, but they could not find the back of the net again as Mount Royal escaped with the 2-1 victory! Zoe De Beauville picked up her fifth win of the season with a 22-save effort while Anderson was outstanding in the loss in stopping 33 shots. Highlights of this game can be found below! MOUNT ROYAL at LETHBRIDGE: The series moved to Lethbridge where the Pronghorns needed the win to erase the three points Mount Royal earned the night before. Zoe De Beauville took the crease for the Cougars while Alicia Anderson was back in net for the Pronghorns as the two netminders squared off for the second-straight night. The first period saw the teams go up and down the ice with a number of chances, but neither goaltender would allow a shot to pass as Mount Royal held the slight edge in shots at 7-6. The second period was similar to the first period in that no goals were scored in this stanza, but the game was played incredibly wide open as defence was tossed aside. Mount Royal ended up outshooting Lethbridge 16-10 in the period to hold a 23-16 advantage as both goalies showed some incredible skill in keeping pucks from getting behind them. Lethbridge brought everything they could to the game in the third period, pinning Mount Royal in their own zone for periods of time. However, it would be Megan Carver who zipped a shot over Alicia Anderson's blocker at 11:59 to put Mount Royal out in front. Lethbridge continued to press, and they drew a late penalty with 1:11 to play as they searched for the equalizer. Despite some furious pressure and several shots from in close, De Beauville turned them all aside in helping Mount Royal to the 1-0 victory! 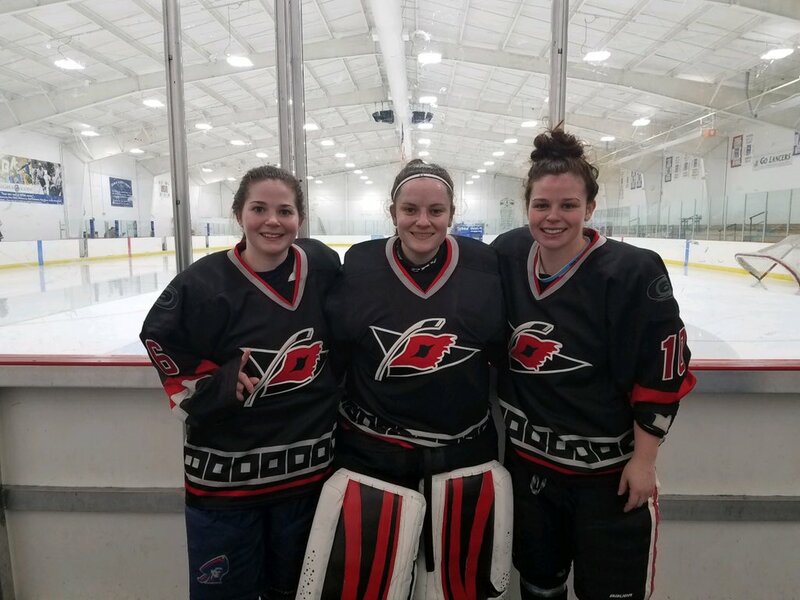 Zoe De Beauville picked up her sixth win and first shutout of the season in stopping all 29 shots she faced while Alicia Anderson suffered the loss on a night where she stopped 25 of 26 shots. SASKATCHEWAN at MANITOBA: These two teams entered Friday night three points apart as they sat in second- and third-place, respectively. The second-place Bisons wanted to open up a gap on Saskatchewan while keeping pace with the Alberta Pandas, and Saskatchewan was looking to move into a tie in the standings with Manitoba while closing the gap on first-place Alberta. Needless to say, the jockeying for positions and possible first-round byes in the Canada West playoffs has already begun! Saskatchewan came out of the gates with all sorts of speed and pressure on Manitoba in this one, using a solid transition game and some breakouts with speed to keep the Bisons on their heels. It would result in the game's first goal midway through the period as the Huskies moved the puck well before Isabelle Pozzi's shot was stopped by Taraschuk. Her rebound went to Shyan Elias who was also stopped by Taraschuk's left pad, but the Abby Shirley swooped in from the wing and swept the puck past the outstretched leg of Taraschuk to put the Huskies up 1-0 at 10:08! Despite Manitoba holding a lead in shots at 8-4, it was a period that the road team was very happy with as they went into the break with that one-goal lead and a significant lead in possession time. The game got somewhat more physical in the second period as Manitoba found their skating legs and began to shift momentum. Saskatchewan was still holding possession more than Manitoba, but there were a number of chances at both ends of the ice. However, both Saskatchewan's Jessica Vance and Manitoba's Lauren Taraschuk were unwilling to partake in offensive outbursts as the teams went to the final frame with the Huskies still leading 1-0. Emily Upgang started the period by heading to the penalty box for hooking just nine seconds in, and the Manitoba power-play came out to play. Natasha Kostenko's wraparound attempt was stopped by Vance which rebounded off a Saskatchewan defender in front only to be knocked down by Vance again where Lauryn Keen poked the puck through her five-hole to tie the score for Manitoba at the 1:00 mark! With the goal, Manitoba seemed revitalized as they began to assert their will on the game. Midway through the game, the Bisons caught Saskatchewan on a line change as Jenai Buchanan flipped the puck high down the ice where Karissa Kirkup picked it up behind the Huskies defenders, broke in on Vance, and went low on the blocker side at 11:47 for the go-ahead goal! Saskatchewan, sensing the pressure, upped their attack once more, but Taraschuk and the Manitoba defence would not allow another marker on several chances as Manitoba claimed the 2-1 victory! Lauren Taraschuk picked up her eighth win of the season in stopping 17 Saskatchewan shots while Jessica Vance suffered the loss in a 16-save effort. Here's your obligatory Saskatchewan player gif of their goal-scorer tonight! SASKATCHEWAN at MANITOBA: Saturday's game loomed even larger for Saskatchewan after Manitoba's come-from-behind win the night before. Jessica Vance was the goaltender of choice for the Huskies in this one while Lauren Taraschuk took to the blue paint across the ice from her. This game felt different from the start as Manitoba was skating hard early on. Saskatchewan responded by upping their pace, and this track meet was just getting started. The Bisons would break the goose eggs first when Brielle Dacquay-Neveux's shot was steered to the left corner by Vance, but Karissa Kirkup was there to grab the puck and her sharp-angle shot from along the goal line found the inside of the far post to put Manitoba up 1-0 at 6:52! Saskatchewan would find an equalizer later in the period just 11 seconds after Nastasha Kostenko was sent off for tripping. Kayla Kirwan's point shot on the power-play was deflected through the five-hole of Taraschuk by Emily Upgang for the power-play goal at 14:44 as these two teams were deadlocked at 1-1 through 20 minutes of play. Both teams continued the frantic pace in the second period as rushes went up and down the ice. A turnover at the Saskatchewan blue line by Manitoba led to a three-on-two the other way as Shyan Elias and Abby Shirley broke down the ice with Kayla Kirwan racing up the right wing. The pass from Shirley went to Kirwan, and she fired low on Taraschuk's blocker side from the face-off dot inside the left post to put Sasakatchewan up 2-1 at 4:27! The action would continue up and down the ice as the teams searched for goals and used their speed to create room, but both Vance and Taraschuk would keep the teams from increasing their goal totals through the remaining 15 minutes of the middle frame as this game went to third period with the Huskies leading 2-1. If good defence builds momentum, the Bisons used some key saves by Lauren Taraschuk to keep the Huskies from taking a bigger lead than they had early in the third period. I mention that because just before the midpoint of the period, Alex Anderson danced into the Huskies zone, used a six-player screen to disrupt Vance's vision, and pulled the puck across the slot area where she backhanded the puck past the recovering goaltender at 8:34 to tie the game at 2-2! The teams continued to play hockey at break-neck speeds through the remaining 11 minutes, but nothing would be solved by the time the horn sounded so it was off to overtime! The four-on-four overtime period was played almost exclusively in the Bisons' zone, and they needed to scramble on a couple of good scoring chances by the Huskies. However, the Bisons held the fort through the first five minutes, so it was off to three-on-three overtime. It was in this period where the Huskies, using solid puck control and passing, pinned the Bisons' starting three in their zone for over two minutes. As the exhausted Bisons collapsed around Taraschuk, Abby Shirley's shot was stopped by Lauren Taraschuk, but Leah Bohlken poked the puck between Taraschuk's pads before she could smother it and the puck trickled across the goal line for the overtime winner as the Huskies claimed the 3-2 double-overtime win! Jessica Vance was solid in picking up her sixth win of the season by stopping 22 Manitoba shots while Lauren Taraschuk suffered the loss on a night where she stopped 25 shots. Once more, Saskatchewan's game-winning goal-scorer with the gif! ALBERTA at CALGARY: The first-place team in Canada West in the Alberta Pandas headed south down Highway 2 to Calgary where the last-place Dinos hosted them on Friday night. Calgary desperately needed to find wins of any sort to make up ground on Lethbridge while the Pandas were looking to pad their lead over Manitoba with a win against the Dinos. It would be the visitors who struck first after Annaliese Meier was sent off for tripping just 2:32 into the game. Abby Benning's shot was stopped by Calgary's Kelsey Roberts, but Hannah Olenyk showed some great hand-eye coordination in batting the puck out of the air into the back of the net for the power-play goal at 3:58 to put the Pandas up 1-0! The Pandas held the edge in puck possession and shots through the remainder of the period, outshooting the Dinos 10-4 in the frame, but the score would remain 1-0 through the first 20 minutes. In the middle frame, Alberta would get into penalty trouble with Kalista Senger sent off for tripping at 7:17 and Kennedy Ganser would follow her at 7:36 for interference. The resulting five-on-three power-play would benefit the Dinos as Holly Reuther, in a scramble in front, converted a Brooke Dennett rebound past Dayna Owen for the power-play goal at 8:10 as the Dinos tied the game at 1-1! While the Pandas still held the puck possession stats, the Dinos showed some life after that goal as they got their legs back and began to skate with a purpose. Both Owen and Roberts would stymie their opposition for the final 12 minutes of the period, so we'd head to the third with this gamer deadlocked at 1-1! The Pandas came out gunning as they looked to close this game out with another goal, but Kelsey Roberts was the star of this show as she denied all 11 shots that the Pandas fired at her in the third period. That would be huge for the Dinos because Delaney Frey's shot - one of three the Dinos had in this period - was on-target. Frey, who caught Cayle Dillon a little flat-footed, used her as a screen as she cut into the middle and roofed the puck past Dayna Owen at 14:06, and could we be seeing a major upset here? The Pandas roared back looking for an equalizer, but all they would find would be Kelsey Roberts and the Dino defenders who turned them aside time and time against in the final five minutes. As the horn sounded, the Dinos claimed a monster victory over the U SPORTS second-ranked Pandas as Calgary won 2-1! Kelsey Roberts was incredible in making 29 stops for her second win of the season and arguably the biggest of her career while Dayna Owen suffered the loss on a nine-save night. ALBERTA at CALGARY: The second game of this all-Alberta series was schedule to take place in Edmonton on Saturday, but word got out on social media that this game would be postponed after a scary incident. Tonight’s Pandas Hockey game against the University of Calgary has been postponed. We are grateful for the safety of the team and we ask that you please respect the student-athletes’ and staff’s privacy at this time. After the Humboldt tragedy, this was a little too close to home for me, so I'm glad that everyone involved is safe and sound. Postponing a game until everyone is mentally and physically ready to go is entirely understandable and acceptable, and if it takes until late February to play this game I'm ok with that. I don't know details of what happened nor do I want to know. The only thing that matters is that all the players and staff of the Pandas are safe. My thoughts and best wishes go out to all those affected by this, and I sincerely hope that the recovery efforts include the mental health of all involved. The recency of the Humboldt tragedy is still an open wound to many, so I'm hopeful that the players and staff involved are getting any and all the help they need in processing this accident. Hearing that all are safe with no major injuries to report is always encouraging, though. My best to the Pandas in this time. NOTE: * denotes one game in-hand due to postponed game. With the final week of the first-half of the schedule being played out next weekend, it's interesting to see how the first-half of the season has unfolded. I don't think it's any surprise to see Alberta and Manitoba trading spots almost weekly when it comes to first-place in the conference, but UBC has been a bit of a surprise in third-place after they lost a number of key veteran players. Depending on what Manitoba does in Calgary and what Alberta does at home against Saskatchewan, there's a legitimate shot that UBC could be in one of the top-two spots in the conference if they continue to roll against Lethbridge. In the last five years against Lethbridge in the southern Alberta city, UBC has a 4-1-1-0 record, but we can't forget that Lethbridge opened this season with 2-0 win over the Thunderbirds. By no means is Lethbridge an easy team to get by for the T-Birds or anyone else as Lethbridge is 1-4-1-1 this season in one-goal games. It will be interesting to see if the Pronghorns can recreate some more magic and pull off another win against UBC, but UBC has looked solid in recent weeks with a win over Manitoba and a five-point weekend in Regina. Saskatchewan, for all of their speed and solid transition game, have been a surprise in that they're averaging less than two goals per game. They showed some great ability against Manitoba this past weekend with players like Abby Shirley, Shyan Elias, Brooklyn Haubrich, and Emily Upgang being thorns in the side of the Bisons, so I'm shocked that they haven't scored more. They'll be in tough against a stingy Pandas team this weekend, but Calgary proved that a full 60-minute effort against the Pandas with strong play in all three zones can result in success over Alberta. If Saskatchewan plays like they did against Manitoba, I think they'll be in line for a few points, if not more, against Alberta. The Regina-Mount Royal series that will happen in Calgary could determine the fate of these two teams in terms of final standings. Tie-breakers are always a fun scenario, but the first criterion that is used to break ties is the total points earned against one another in the four-game regular-season series. Both teams have a regulation win and a regulation loss, so one team will have to earn four points at minimum to own the tie-breaker. In the event they split the weekend again, total wins (with overtime and shootout wins counted as full wins) head-to-head is the next criterion followed by only regulations wins head-to-head as the third tie-breaker criterion. If they split and go 2-2-0-0 each, the tie-breaker goes to most of total wins in league play including wins in overtime and shootout (hint: they both have six total wins right now). It's the fifth criterion - regulation wins only - where Mount Royal holds the edge as they have six to Regina's five, so Mount Royal would technically move into fifth-place if these two teams split this upcoming series down the middle again. Of course, there's still a second-half of a season to play out and any number of things could happen to all of the above teams who are jockeying for position. If Lethbridge or Calgary gets hot and rattles off a few wins in regulation, they could affect all sorts of playoff scenarios including their own. With seven weeks to go, 14 games on the docket, and a potential 42 points available for all teams to grab, no one is out of the running for the playoffs just yet. I have never once wanted to order nor try shark fin soup. I've heard people describe it as "eating a soft comb" due to the texture of the cartilage-based shark fin, but the practice of killing sharks just for their fins is rather stomach-turning to me. Last night, it seemed someone wanted some shark in his diet as Vancouver Canucks forward Dominic Roussel decided to take a bite of the hand of San Jose Sharks defenceman Marc-Edouard Vlasic in the scrum pictured above. While it's certainly not the same as shark fin soup, shark hand is also not on the NHL's approved menu. Here's the video of said bite last night courtesy of NBC Sports. Shark fin soup normally costs a pile of money per bowl, but this might be the most expensive bite of a Shark as the NHL today handed down a maximum $5000 fine to Roussel for his bite on Vlasic. If one was looking for something to talk about instead of bringing up the 4-0 loss to the Sharks and Vancouver's eighth-straight loss, it seems there were a number of reporters who wanted to speak with Roussel about his tactic last night. If you recall, it seems Vancouver may lead the league in number of bites after Alex Burrows bit Brad Marchand's hand during the 2011 Stanley Cup Final. 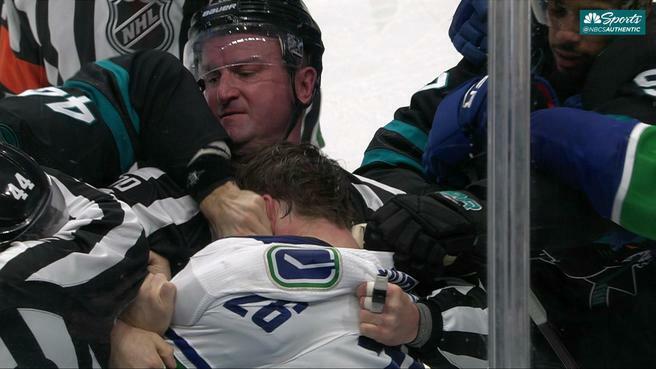 I'm not sure why Vancouver seems to have players with an oral fixation in their lineup, but biting the hand of Vlasic - whose nickname is "Pickles" - is the latest example of a Canucks player sinking his teeth into his opposition. Maybe the Canucks need to monitor Roussel's pregame meal? There was some outrage in Winnipeg when it was announced that Finnish-born players Sami Niku and Kristian Vesalaninen would be staying in North America while the Jets battled the Panthers in Helsinki earlier this season. While hindsight may be 20/20 in knowing what happened over in Finland with Brendan Lemieux, it's hard to believe that the Jets wouldn't call up two of the most popular young Finns to join them in their native country. Today, however, it was announced that the Jets had re-assigned Kristian Vesalainen to Jokerit of the KHL after his latest demotion to the AHL's Manitoba Moose. It seems Vesalainen will get to play in Finland after all. Look, I'm not an NHL general manager nor will I ever claim to be one, but we had heard in the summer that if the Jets plan to keep Vesalainen in the AHL this season, he'd return to the KHL. Knowing this threat was out in the public forum, the Jets astonishingly assigned him to the AHL while keeping a player like Brendan Lemieux in the press box. And while the idea of having Vesalainen play in the AHL to allow him to develop in the North American game is one used by many teams, it's not one that Vesalainen was willing to accept when he had a ton of success in Finnish Elite League. In knowing that, it was likely that Vesalainen's agent told GM Kevin Cheveldayoff that his point-per-game player in the AHL was heading home to play in the KHL after his most recent demotion from the NHL club, using an out-clause that had been negotiated before Vesalainen signed his entry-level deal. Cheveldayoff isn't willing to let Vesalainen walk, so he did the best thing for his club's interest in re-assigning him to Jokerit in order to keep him under contract with the Jets and maintain his rookie status without burning the first year of his entry-level contract. In other words, it's likely a win-win for both the Jets and Vesalainen. 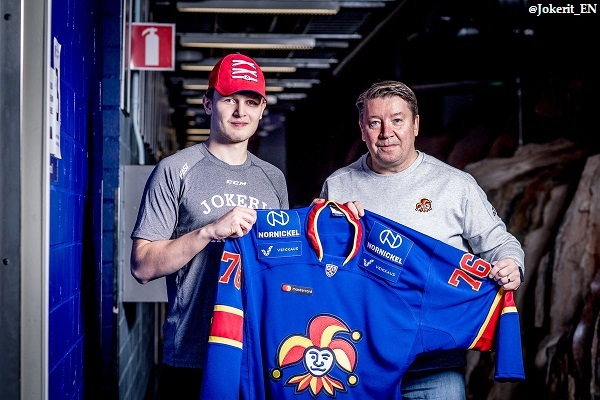 Vesalainen will go home to join Jokerit, who recently acquired his rights from SKA St. Petersburg, and will join the team immediately as Jokerit prepared to play Barys Astana tonight. If he's ready to go, I assume he'll be in the lineup for Jokerit tonight, but I expect Vesalainen to make his debut at home against Dynamo Moscow on Monday. This blog will keep an eye on the Finn as the season progresses. For the Jets, I'm certain they aren't going to complain about Vesalainen playing against men who are older and just as good as those in the AHL, but they do lose some control of Vesalainen's future for the short-term. He cannot be recalled to the Jets until Jokerit's season is over, so they likely wouldn't be able to recall him until late in the season or until the Stanley Cup Playoffs start. This is similar to what Eeli Tolvanen did in signing a deal with the Nashville Predators last season prior to the playoffs on March 29 after Jokerit was eliminated from the KHL's Gagarin Cup Playoffs. It's not the end of the world in not having Vesalainen available for a recall for the Jets, but this is the only season where the out-clause was available and Vesalainen used it in the belief that his game will progress faster in the KHL than it would in the AHL. I don't fault the Finn or his agent for that belief, but we'll have to see what the results are once he returns to Winnipeg. It will be an interesting case study after seeing players like Tolvanen and Shipachyov sent to the AHL after their lauded signings, but this "opportunity" afforded to Vesalainen means that Kristian Vesalainen needs to work as hard as he can when it comes to cracking the Jets' roster. Joining the Finnish KHL club and playing in his home country means that hard work starts now for Vesalainen. Here's hoping he returns and wows everyone next season with his development. The Hockey Show, Canada's only campus-produced radio show that strictly talks hockey, is back tonight with a special show as it's US Thanksgiving! Ok, that's not why it's special, but it makes it hard to squeeze in a word when everyone is eating, talking about football, and everything else happening. Instead, I went and did a little setup work in getting an American guest on the show tonight, and she has an incredible story to tell. I am thankful she has let me into her world as I find her to be a remarkable woman with everything she's involved in, and that's why I feel privileged to introduce you to her tonight! The woman in the middle of the picture is Kelsey Neumann, and I am honoured to bring her story to the air tonight! Kelsey has been all over the North American map playing hockey, starting in Texas and taking her to North Carolina with all sorts of stops in between those locations! We'll hear about her growing up in a non-traditional hockey market, how she became a goaltender, some of the places she's played, her NCAA career, her professional career, and her work off the ice with a ton of people whose lives had been made better because of her! We'll also hear about a time in her life when she nearly quit hockey, and this is a story she's never spoken about before so you'll be hearing an exclusive on The Hockey Show tonight! Kelsey's also an ambassador for mental health initiatives, and I'll post some resources for those who may be seeking some help after the show airs! All of this happens tonight with Kelsey Neumann on The Hockey Show at 5:30pm CT! Tonight, Teebz goes one-on-one with goaltender Kelsey Neumann and we learn about her life, her career, her job away from hockey, and much more only on The Hockey Show found exclusively on 101.5 UMFM, on the UMFM app, on the UMFM.com web stream! The civil lawsuit filed by four players who formerly played for the University of Lethbridge's women's hockey team moved forward today with a statement of defence issued by the University and the defendants in the case. While I normally wouldn't comment on a statement of defence since they're usually simple denials of the accusations, this statement of denial put forth by the Alberta institution might be the most comical and tone-deaf statement of defence one could make in trying to win this case. Hearing this news today actually has me wanting to see the four women win their case against the University of Lethbridge just out of spite. Let's go to Global News' Matt Battochio in Lethbridge for the update. D) If it did happen, there were no damages caused. "The conclusion relating to the harassment complaint was that the Policy on harassment has been violated. 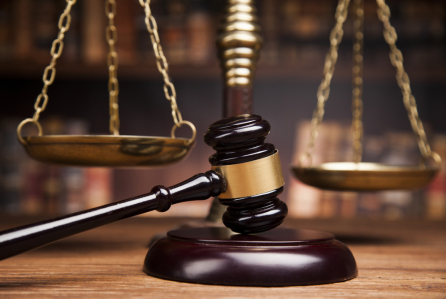 The investigation conclusion in regards to discrimination was that based on the balance of probabilities and findings of fact, the Policy on discrimination of different treatment on the basis of protected grounds has not been violated." That's a pretty cut-and-dry statement: the harassment policy has been violated. In terms of Option A above, what the players said happened was confirmed by the school they're suing in this lawsuit! If that's not an act of admission, I'm not sure what would be. Nevertheless, the lawyers for the school, Athletic Director Ken McInnes, and head coach Michelle Janus seem to believe that the harassment never took place despite the report filed by Miss Walker stating it, in fact, did take place. One of the statements from University representatives today was, "Generally, the university defendants state that there is no merit to the allegations contained therein, and that this action should be struck as it is scandalous, frivolous and vexatious and an abuse of process." Is this a comedy playing out in real life? Let me spell this out for you: YOU, UNIVERSITY OF LETHBRIDGE, ALREADY CONFIRMED HARASSMENT HAPPENED. There is no going back now. You, University representative, cannot undo what your employer already said happened and implemented corrective measures for Michelle Janus to follow to remain employed. You can't claim you were crossing your fingers when you said that. There are no "returnsies" on that statement. It happened, you admitted it happened, so the "merit to the allegations contained therein" aren't even up for debate. I'm no lawyer, but this seems like a simple concept, no? Option C would be your statute of limitations claim, and these complaints about Janus' treatment of these four players happened from 2015 until present as far as the law is concerned. In other words, the statute of limitations challenge on these allegations is, again, laughable at best and downright ridiculous at worst. Who are these lawyers? So after eliminating Options A and C, we're left with the players possibly blowing these allegations up into something more than they are and the harassment that Janus imposed on them causing the players no damages. We can certainly point to Option D as being egregiously false as one player - Olivia Alexander - quit the team, left the University of Lethbridge, and vowed never to set foot on the campus again. I'm pretty certain that shows some mental anguish after the treatment she received at the hands of Michelle Janus, so let's call a spade "a spade" in saying there certainly are damages emotionally and psychologically to at least one of the four players. So are the players blowing Janus' treatment of them out of proportion? That will be up to the judge to decide. They'll be able to testify, they'll be cross-examined, and they will have their day in court when it comes to resolving this issue. Like the above claims made by the defence that logically seem proven to be false, I'm quite certain that the women named as plaintiffs aren't hyperbolizing any of the claims they made as players as they would have nothing to gain from that at that time. They simply wanted the bullying and harassment to stop, and it's pretty obvious that Athletic Director Ken McInnes did nothing to prevent further bullying or harassment of these four players, making the University of Lethbridge part of the culpability since the school employed both McInnes and Janus. I'm not here to make a ruling since a judge who is far wiser and smarter than I will come to a conclusion once the cases for both sides are presented. However, logic seems to dictate that the path that the University of Lethbridge lawyers are taking in trying to have this civil lawsuit dismissed is fraught with premises that hold no water. $1.1 million is a lot of money for the University of Lethbridge to lose when it comes to paying out the maximum amount that these four women are seeking, but perhaps this will be an expensive lesson in taking claims of bullying and/or harassment seriously in the future. The smartest thing the lawyers for the University to propose at this time? A settlement with the four women. Because this case seems like it may already be lost based on their statement of defence. UPDATE: After speaking with one of the plaintiffs, it seems that U SPORTS, who the women appealed to with the hopes they would review the case with respect to the harassment and bullying policy within Canadian university sports, decided there was little they could do to help the four plaintiffs. I'm not sure how they decided that when the school admitted there was indeed harassment against the plaintiffs, but it seems U SPORTS dropped the ball on this one in this writer's opinion. 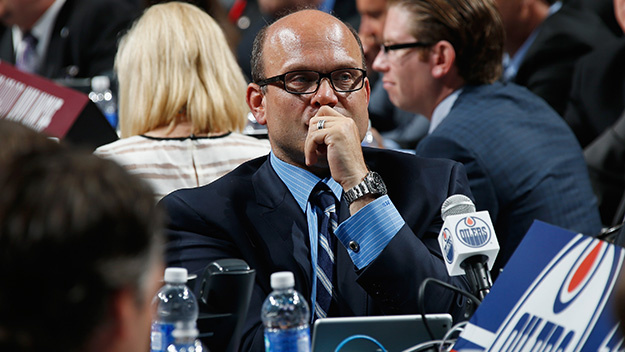 While this is Peter Chiarelli at the NHL Entry Draft possibly devising some new scheme in which he can have the NHL's best player win an Art Ross while simultaneously having his team earn the first-overall pick, I imagine Chiarelli sits in the same pose in his office at Rogers Place while trying to explain his team's futility on the ice despite the roster he has built. Today, we found out that Chiarelli is unwilling to concede that his lineup is flawed, instead firing head coach Todd McLellan and replacing him with Edmonton native Ken Hitchcock. Yes, the same Ken Hitchcock who retired after being fired by the St. Louis Blues on February 1, 2017. How does Peter Chiarelli keep avoiding the axe in Edmonton? Before I take a stab at answering that question, let's be honest in saying that whatever McLellan was doing with the roster that Chiarelli built, it simply wasn't working. The Oilers have lost six of their previous seven games, they were plummeting in the standings, and Chiarelli did the most predictable thing a GM of a slow, plodding team can do: he fired the head coach. "With all the parity in the league," Chiarelli stated at a press conference this morning, "I think the timing was right now to do it. There's still a lot of runway left in this year and we felt a new voice would be helpful." Perhaps Chiarelli should have checked recent history because of the 16 teams in playoff position on US Thanksgiving last season, 11 kept their spot to advance to the Stanley Cup Playoffs. Boston and Philadelphia were one and four points out at US Turkey Day last season, and they bumped out Detroit and the New York Islanders in making the playoffs. In the west, Calgary, St. Louis, and Vancouver held playoff spots on US Thanksgiving, only to be replaced in April by Colorado, Anaheim, and Minnesota. In other words, that runway isn't as long as he may think. Connor McDavid, speaking after practice in San Jose, was more to the point in saying, "This isn't on Todd at all. It's on us as players. We've got to wake up here." To add a jolt to the players' wake-up call, Chiarelli brought in Ken Hitchcock who agreed to remain on as the Oilers' head coach until the end of the season. Chiarelli worked with Hitchcock as part of the Canadian Olympic team in Sochi in 2014, so the two men have some familiarity with one another. Hitchcock wasted no time in telling the players that their success was entirely up to them. "I told the players today, I can take them to a place personally that they can't get to themselves, but they've got to buy into that," Hitchcock told reporters. Here's where I struggle with this hiring. If Todd McLellan was a defensively-minded coach who demanded a solid effort in the Oilers' zone, how does this differ from the approach that Ken Hitchcock brings to the team? This Oilers team looked lost and confused when trying to break out of their zone, they looked slow and uninterested in the neutral zone, and players not named McDavid or Draisaitl couldn't find the back of the net with a compass and a GPS unit when in the offensive zone. To put this bluntly, the team that Chiarelli built is not built for today's NHL. Hitchcock is the eighth coach that the Oilers have employed in the last ten years. It's hard to imagine wasting the talents that Connor McDavid has after he committed to the club, but it seems that the lack of consistency in the coaching methods and systems are contributing to that fact. Add in some rather questionable roster moves by the general manager, and the Edmonton Oilers are likely going to miss the playoffs again this season. I have no doubt that Ken Hitchcock will get the Oilers a few more wins than had they left McLellan in charge. It's a rather common occurrence that a team plays better after a coaching change as players want to impress the new boss in an effort to get more ice time and responsibility. However, that effect wears off after a week or two, and that's when the real coaching begins. We should know by Christmas whether or not the Oilers are going to make a serious run at a playoff spot with Ken Hitchcock in charge. However, recent history seems to point at the fact that being five points out at US Thanksgiving is a major hill to climb when it comes to locking down a postseason spot. If the Oilers can win tonight over San Jose, they'll close the gap to three points with a Friday game against Anaheim looming large. It's not unthinkable that Edmonton could be in a playoff spot by week's end. And then it's up to Hitchcock to ensure that he keeps his foot on the gas with this team. The Oilers can make the playoffs this season. But like Hitchcock told the press, it's going to take the entire Oilers team to buy into his methods if they want to skate in April this year. 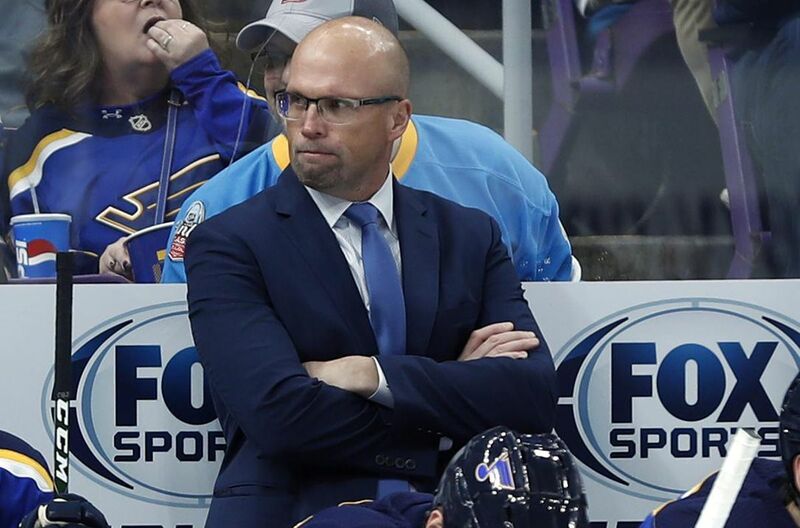 Late tonight as I was preparing myself for some slumber, the news flashed across social media that the St. Louis Blues, on the heels of a 2-0 loss to the Los Angeles Kings, had relieved head coach Mike Yeo of his coaching duties. The excusing of Yeo seemingly was a long-time coming for the Blues after they missed the playoffs last season, but GM Doug Armstrong made it official tonight after the Blues fell to 7-9-3 on the season, sitting in the cellar of the Central Division and 30th-overall in terms of points. Tonight's shutout loss to the 31st-place Kings - the Blues' third game being shutout in their last four games - was the final straw for Armstrong. The Blues made a number of moves this summer to erase the memories of missing the playoffs that included a trade for Ryan O'Reilly and the signings of Tyler Bozak, Pat Maroon, and David Perron, but only O'Reilly came as advertised when it comes to collecting points. Seeing players such as Vladimir Tarasenko, Brayden Schenn, and Alexander Steen struggle to find the back of the net only compounded the problems that Yeo was facing, and some rather poor netminding from Jake Allen only exacerbated those scoring woes. Yeo's system in St. Louis simply wasn't working, and it felt a lot like his struggles towards the end of his stint in Minnesota. Players that one expected to perform either couldn't or wouldn't, and the Blues seemed to struggle simply breaking out of their own zone. That's a tough thing to state when you consider that Alex Pietrangelo, Colton Parayko, Joel Edmundson, and Jay Bouwmeester are the four defenders logging the most time. You wonder if Armstrong might have made this decision thinking about this summer. Included in the deal for O'Reilly was a lottery-protected first-round pick, so not making the playoffs would force Armstrong into deciding whether to give Buffalo this year's first-round pick or next year's first-round pick. Making the playoffs takes some of the pressure off Armstrong with respect to that decision, so perhaps Armstrong was protecting himself with this move as much as he's trying to turn around the fortunes of his team. If Yeo was the move to change those fortunes, the next move for Armstrong would be to reinforce the foundation of this team by acquiring a starting goaltender. Jake Allen currently is not in that realm, and his numbers are reflective of the struggles this team has experienced. Allen ranks 29th in save percentage and 30th in goals-against average among the 34 goalies who have played ten games this season. While it might be somewhat foolish to write off Allen at this point in the season, goaltending has been the Achilles' heel of the Blues for a few seasons now. Former Philadelphia Flyers head coach and player Craig Berube takes over on an interim basis for Yeo as the Blues move forward. He had been part of Yeo's staff since 2017, so Berube is familiar with the team and its players. Whether or not he can get more out of this squad than Yeo did will remain to be seen, but the one certainty is that after a coaching change comes roster changes if the Blues can't break out of this funk. With Alberta and Manitoba opening a bit of a gap on Saskatchewan and UBC last weekend, this weekend would important for all four teams when it came to strengthen and improving their positions. For Regina, they needed to close the gap on Saskatchewan and UBC, and Lethbridge was looking to catch Regina in the standings. Mount Royal needed to find their winning ways to chase down Lethbridge, and Calgary was simply hunting for wins once again. Depending on results this week, there could be some significant movement in the Canada West standings once again, so let's get to the action on this week's installment of The Rundown! MOUNT ROYAL at SASKATCHEWAN: Let's start with the Cougars and Huskies where six points this weekend would significantly help both teams. Both teams started tentatively, but the pace picked up as the period progressed. Mount Royal was unsuccessful on a power-play midway through the period while Saskatchewan didn't score on their advantage later in the frame. However, that Huskies power-play generated enough momentum for Saskatchewan to get them a goal 15 seconds after it ended. Bailee Bourassa took a pass on the half-boards, skated out into the high slot, and went high on Zoe De Beauville on the short side at 18:51 to score the game's opening goal, sending Saskatchewan to the break with the 1-0 lead. The Cougars would find the board a minute after killing off an early disadvantage for them in the second period. Breanne Trotter spotted Andrea Sanderson alone in the slot, and Sanderson made no mistake with the pass as she wired home the one-timer past Jessica Vance at 4:18 to make it a 1-1 game! Mount Royal did a good job at limiting Saskatchewan's chances in this period, and that would pay off when Emily Upgang was sent off for hooking later in the period. On the ensuing power-play, Breanne Trotter's shot was blocked, but the carom landed on the stick of Tatum Amy and she buried the puck past Vance at 17:57 to make it a 2-1 game through 40 minutes! Saskatchewan's Kayla Kirwan was whistled for bodychecking just 10 seconds into the third period, and the Cougars went back to work on the power-play. Jayden Thorpe unleashed a bullet that got past Vance at the 33-second mark, and Mount Royal had a 3-1 lead! Saskatchewan seemed to stumble after that goal, but they began skating once again. Midway through the period, Sophie Lalor put her shoulder down and drove the net, firing the puck past De Beauville at 11:55 to draw Saskatchewan within a goal at 3-2. Saskatchewan kept the pressure on and the chances coming, but De Beauville stood tall and the Mount Royal defence kept rebounds away from Huskies. Even with Vance on the bench for the final minute, the Huskies could tally no more as the Mount Royal Cougars prevailed with the 3-2 victory! Zoe De Beauville picked up her fourth win of the season with 20-save effort while Jessica Vance stopped 16 shots in the loss. Despite the loss, here's your mandatory Huskies player GIF with Sophie Lalor. MOUNT ROYAL at SASKATCHEWAN: With Mount Royal picking up three points on Friday, Saskatchewan needed to find the split when it comes to the standings. Saskatchewan's Jessica Vance and Mount Royal's Zoe De Beauville earned the blue paint for their respective teams once more, and those names would be key on this night. The first period saw both teams with chances, but the two netminders were having none of that as Vance stopped seven shots while De Beauville stopped eight shots to send this game to the second period tied at 0-0. The second period was more of the same as the goaltenders were stealing show on this night. Vance stopped another six shots while De Beauville shut down all eight shots from Saskatchewan to keep this game goalless through 40 minutes. Less than a minute after a mid-period power-play for the Huskies, we'd see the stalemate broken. Chloe Smith found room past De Beauville at 11:16 to put the Huskies up 1-0, and that was more than enough offence on this night for Jessica Vance. Vance was stellar in between the pipes all night as she and the Huskies picked up three points with the 1-0 victory! Vance stopped all 19 shots she faced for her fifth win and third shutout of the season while De Beauville stopped 23 shots for the Cougars. Mandatory GIF: Chloe Smith gets the call! 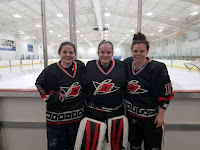 LETHBRIDGE at ALBERTA: The two Alberta-based squads met in Edmonton on Friday, and it would be a big night for Lethbridge's Alicia Anderson and Alberta's Halle Oswald as the two goaltenders decided to have themselves a bit of a dual. In the first period, Alberta outshot Lethbridge 16-3. The score remained 0-0. In the second period, Alberta outshot Lethbridge 12-7. The score remained 0-0. In the third period, Alberta outshot Lethbridge 9-2. The score remained 0-0, and if you're doing the math Anderson stopped 37 shots over 60 minutes while Oswald stopped 12 shots. In the four-on-four overtime period, Alberta outshot Lethbridge 5-1. The score remained 0-0. In the three-on-three overtime period, Alberta outshot Lethbridge 5-0. The score remained 0-0 as we moved to the shootout, and both Anderson and Oswald earned shutouts on the night. Anderson was far busier, making 47 saves, while Oswald earned her shutout with a 13-save performance. Note the number of saves that Anderson had. I'll talk more about that after the shootout. Round One saw no goals. Round Two saw no goals. Round Three saw Alex Poznikoff finally solve Anderson while Oswald denied Alli Borrow as the Pandas earned the 1-0 shootout victory! Halle Oswald earned her third win and third shutout in the shootout victory while Anderson suffered the loss despite pitching her fourth shutout of the season. Why is Anderson's 47-save shutout important? Well, she broke Jane Kish's record for the most saves in a shutout in Canada West! Back in Week 2 of the 2018-19 season, Kish set the record with a 45-save effort that broke a record that Alicia Anderson tied one week earlier! Well, it seems Anderson wanted that record back, so she went out and stonewalled the Pandas to set the new 47-save record in a shutout! Congratulations, Alicia, on reclaiming a piece of history! LETHBRIDGE at ALBERTA: After playing 70 minutes and having a skills competition the night before, Lethbridge and Alberta reconvened at Clare Drake Arena for the second-half of this weekend series. This game would certainly feature more scoring compared to Friday's tilt. Despite carrying the play, the Pandas found themselves trailing in the first period. Lethbridge's Delaney Duchek took a Mackenzie Gal feed in the slot and snapped a shot past Kirsten Chamberlin at 7:33 to put the Pronghorns out in front 1-0! Alberta, though, just kept coming in waves and it paid off. On the power-play minutes later, defender Abby Krzyzaniak tipped an Abby Benning shot past Alicia Anderson at 12:51 to tie things up at 1-1. The teams would carry that score into the second period. In the middle frame, Taylor Kezama's shot went wide, but Autumn MacDougall collected the rebound off the end-boards and zipped the puck past Anderson at 6:22 to make it 2-1 for Alberta. The Pandas would continue to pressure the Pronghorns, and they'd be rewarded later in the period when Canada West's leading scorer got in on the scoring action. Alex Poznikoff's second effort off her own rebound put the Pandas up 3-1 as they went to the intermission with that score and a 25-9 advantage in shots. Midway through the period, it should be noted, Chamberlin was replaced by Halle Oswald in the Alberta net. In the third period, we got more Alberta offence as Anderson was the only player back on a two-on-none for Alberta. Poznikoff to Sawatzky to the back of the net, and Alberta was out in front by a 4-1 score at 6:52. Autumn MacDougall would add her second of the game at 18:37, but the game was virtually over at that point as Alberta skated to the 5-1 win. Kirsten Chamberlin earned her fourth win in her 30:46 of action by stopping four shots while Alicia Anderson was on the losing end of this game despite making 29 saves. Halle Oswald, for the record, stopped all eleven shots she faced in her 29:14 of work. MANITOBA at UBC: The Bisons headed west to Vancouver for a two-game set with the UBC Thunderbirds, and it would be the home squad who came out with all sorts of fire under them. They used this frantic pace to get out in front early as Brie Bellerive's second effort on her own rebound had enough on it to get past Lauren Taraschuk at 4:05 for the 1-0 T-Birds lead! Bellerive's goal was assisted by Shay-Lee McConnell who won a puck battle in the corner, and that was the tone of the first period: UBC winning puck battles. Case in point? Celine Tardif wins a battle in front of Taraschuk for position, and she gets rewarded. As an aside, this is why they should have video review in Canada West as it's fairly clear that the puck goes in off Tardif's skate, but we don't have that in Canada West and the goal stood to give UBC a 2-0 lead at 15:37 which they'd carry into the break. The second period saw no scoring, but the momentum seemed to be changing as Manitoba came back with a strong period. They still trailed 2-0 as the third period began, but Manitoba's Jordyn Zacharias cut the deficit in half at 8:38 with her goal that beat Tory Micklash. Manitoba would continue their push as the period progressed, and they'd find the equalizer off the stick of captain Erica Rieder. Rieder's one-timer off the Sheridan Oswald feed came at 17:31 to tie the game at 2-2, and we would need extra time to solve this one! The overtime periods, though, were fruitless, so the T-Birds and Bisons would head to a shootout. Manitoba would shoot first, and it would be Miss Automatic, Jordy Zacharias, who was sent out first. Manitoba would lead 1-0 after Mathea Fischer's shot was stopped by Taraschuk. Round Two saw Courtlyn Oswald stopped while Brie Bellerive's shot went wide. That set up Karissa Kirkup with the potential winner. With Kirkup's marker, the Bisons won this game 3-2 in the shootout! Lauren Taraschuk earned her seventh win of the season by making 25 saves while Tory Micklash suffered the loss despite making 22 saves. MANITOBA at UBC: After a comeback one night earlier by the Bisons, both teams met at Doug Mitchell Thunderbird Arena for the second match in this weekend series. And once again, UBC was the dominant team from the drop of the puck, but they could not solve Lauren Taraschuk on nine shots in the first period. Manitoba, though, found themselves with the lead at the intermission as Natasha Kostenko crossed up a couple of UBC defenders before skating alone for most of the ice. Kostenko's breakaway goal came at 12:44 to put Manitoba out front 1-0, and we'd go to the second period with that score. Like Friday, there was no scoring in the second period with UBC leading 18-10 in shots after 40 minutes, so we'd go to the third period. It was in this frame where UBC found an equalizer after Alexandra Anderson had her pocket picked by Hannah Koroll. Koroll sent the pass across to a streaking Emily Costales, and she found the back of the net with her shot at 10:57 to make it a 1-1 game! The T-Birds continued their assault on the Bisons' net and they would be rewarded on the power-play off a scramble in front of Taraschuk when Ashley McFadden found the loose puck. Now before we go any further, how on earth did the official see that puck underneath three players? And did Rylind MacKinnon glove that pass to McFadden with her loose arm? Take a look on this angle, and let me know if I'm crazy in thinking that we definitely need video review in Canada West when it comes to goals like this. Regardless of what I think, the UBC Thunderbirds grabbed the 2-1 lead on the power-play off the McFadden goal at 14:54 of the third period, and they didn't need much more as Manitoba managed just two shots in the final frame. The end result was a 2-1 UBC victory! Tory Micklash bounced back to get her fifth win on the strength of eleven saves while Lauren Taraschuk took the loss despite making 29 saves. REGINA at CALGARY: The Dinos hosted the Saskatchewan-based Cougars this week as Regina headed west to southern Alberta. And before the teams even got settled on the bench, there was a goal scored! By Calgary! Brooke Dennett won an offensive zone face-off to Laine Grace, and her shot through traffic beat Jane Kish just 1:07 into this game to give the Dinos the 1-0 lead! And it was at that point where Kelsey Roberts and Jane Kish had had enough of this goal-scoring. For the remaining 19 minutes of the first period, the entire second period, and 19 minutes of the third period, neither goalie would surrender a goal. However, at the 19:10 mark of the third period, Regina found an equalizer! With Kish on the bench with four minutes to play - seriously? - and an extra attacker on the ice, Lilla Carpenter-Boesch was able to get a puck by Roberts at 19:10 and we were headed to overtime! The four-on-four overtime would yield no goals, so we'll jump to the three-on-three overtime. It was here where a winner was found. Tamara McVannel had all sorts of time and space to pick a corner on Roberts moments after the Regina power-play expired, and she went high on Roberts to give Regina the 2-1 double-overtime win! Jane Kish picked up her fourth win of the season in a 28-save effort while Kelsey Roberts deserved a better fate after stopping 41 shots. REGINA at CALGARY: After dropping a game where they were 50 seconds from winning, Calgary met Regina for the second-half of the weekend series. This game started like it did yesterday with Calgary as the more aggressive team, but there would be no early goals. However, some penalty trouble late in the period put Calgary on a five-on-three power-play, and this opportunity would not go wasted. Dana Wood's initial shot was stopped by Jane Kish, but the rebound came out the far side where Rachel Paul had a couple of swipes at it to put it in the net at 17:45 for the 1-0 lead! The second period wouldn't follow the same script as the night before. Just 1:13 into the middle frame, Jenna Merk fed Nikki Watters-Matthes on a two-on-one, and she made no mistake in burying the puck past Kelsey Roberts to tie the game up at 1-1 as the Cougars squared the game. Jordan Kulbida, Regina's leading scorer, was dismissed from the game at 3:49 after checking Dinos forward Priya Sidhu from behind, but the Dinos couldn't capitalize on the power-play. The Cougars dominated the period with a 12-5 edge in shots, but the score remained tied through 40 minutes of play. In the third period, early power-plays for both sides were unsuccessful, but Regina would find a lead later in the period. Chelsea Hallson threw a puck towards the net which ricocheted off Elise Endicott in front, and the deflection would find its way past Roberts at 14:10 to put Regina up 2-1! Calgary tried to find an equalizer, but the Cougars rejected all opportunities as they held on to win by that 2-1 score! Jane Kish picked up her fifth win in a 17-save effort while Kelsey Roberts stopped 19 shots in the loss. Well, this might be the first time in some time that Manitoba drops out of the top-two spots in the U SPORTS Top Ten after their loss to UBC. As it stands right now, Manitoba is 0-3-1-0 against Alberta and UBC with Saskatchewan coming to town next weekend. Alberta has certainly been on a tear, and I think, after seeing them shut out Manitoba in two games already combined with their dominance over everyone else, they should be ranked higher than Manitoba at this point. We talked a lot about Manitoba needing to beat Alberta last season to exorcise a pile of demons along with allowing them to compete for both the Canada West championship and the U SPORTS national championship, and it seems this may be the case again this season. However, both UBC and Saskatchewan will likely want their shots at Manitoba as well as they look to topple the defending national champions, so Manitoba needs to come up with some wins against these likely playoff opponents. Beating Saskatchewan next weekend in both games will go a long way to helping their cause as Saskatchewan is ranked ninth-overall in the nation, and it makes that 0-3-1-0 record into a 2-3-1-0 record - far more respectable than a measly two points of a possible 12 points that were already up for grabs against Alberta and UBC. If I'm Manitoba, the title defence starts this week. They're still within three points of Alberta for first-place in Canada West, but they need to buckle down and win games in regulation over tougher opponents. The second-half schedule starts off with Alberta, and they'll close the season out with UBC at home and Saskatchewan at Merlis Belsher Place. Including next weekend's games against Saskatchewan, that's eight games to establish some sort of psychological advantage over these teams. There's no easy weekend from here on in for any of the Canada West teams. The work starts next weekend. Settle in, folks, because this is going to be a wild ride for the next few weeks! You Want More Goalie Goals?